Summer is a bug-ridden season in many areas, but most don't experience swarms so large they show up on weather radar. Unfortunately for people in New Orleans, their city is among those that does, reports UPI. On Sunday evening, meteorologists with an area National Weather Service outpost noticed a mass covering the north and south shore areas. 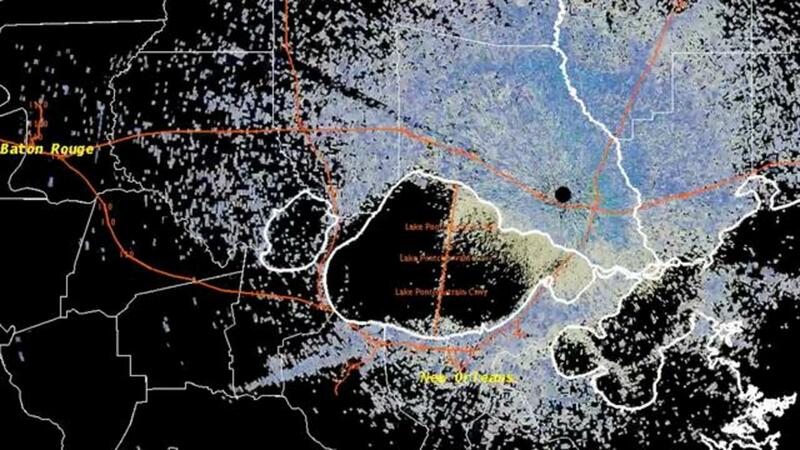 They shared the radar image on Twitter and commented, "We're used to seeing bird flocks on radar at sunrise, but it looks like insect swarms are getting picked up tonight." As May and June are popular times for termites to show up in droves, it's believed they constituted the bulk of the grouping, notes WGHP.